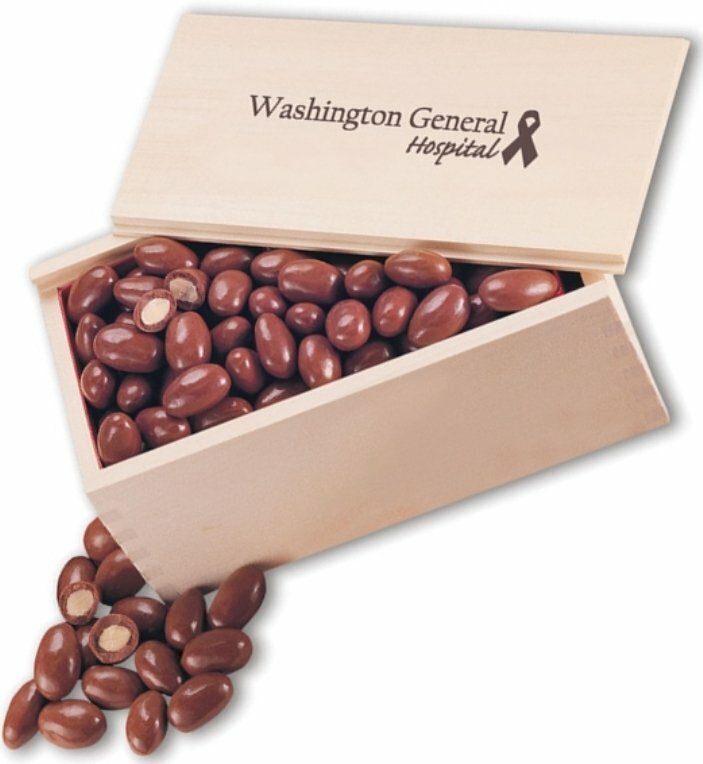 Get your logo custom Fire Branded on a wood collector's box w/ Chocolate Almonds. Applications include corporate gifts, employee gifts or promotional holiday gifts. 3 quarters of a pound premium quality best jumbo Chocolate Almonds. Overall approx. size of hardwood collectors box is 8 w x 4 h x 3 deep.